It’s a long way from a molecular biology laboratory at UNE to the icy expanses of Antarctica, but this is exactly the journey one UNE scientist will be making over the next 12 months. Dr Mary McMillan, a lecturer in Biomedical Science, is one of 75 women from around the world who have been chosen to take part in the groundbreaking Homeward Bound leadership program for women in STEM. Homeward Bound was launched in 2016, and Dr McMillan will be part of the third cohort of women to participate. The program emerged in response to data showing that women are under-represented in leadership positions and executive decision making roles. The initiative aims to heighten the impact and influence of women in science by elevating their leadership capabilities, building strategic skills, and building a collaborative network of women around the globe. It is hoped that over the next 10 years the program will build a global network of 1000 women who have the skills to take on leadership and executive roles, and the ability to shape policy and decision making. 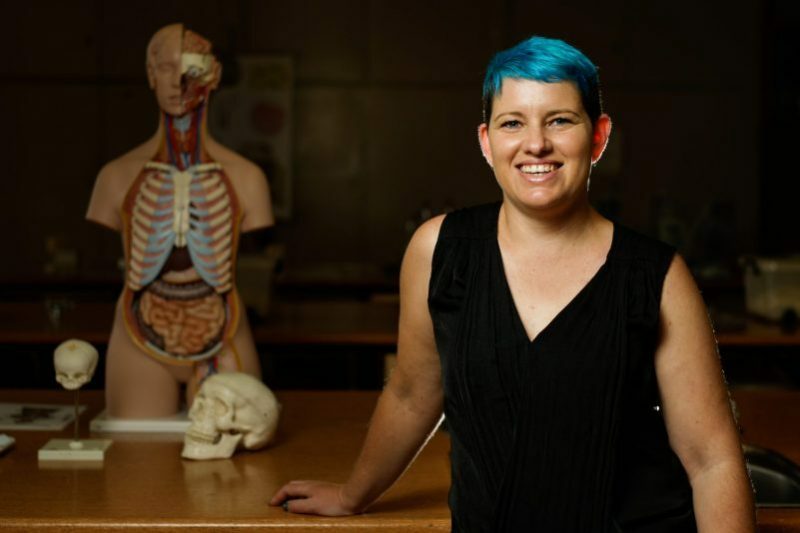 “I am so excited to be part of this program – it’s still a bit hard for me to believe that I was actually successful in my application,” Dr McMillan said. To be one of just 75 women selected for the program is such an honour”. Over the next 12 months Dr McMillan will receive leadership training, develop strategic planning skills, undergo training in science communication, and work on collaborative projects with other program participants. Monthly video conferences will allow the women, who are scattered around the globe, to meet and work together. The 12 month-long program will culminate in a three-week sea voyage through Antarctica, with participants receiving further training and personal coaching while on board. “Antarctica is one of those places that everyone dreams of seeing one day – for me that dream is actually going to come true,” said Dr McMillan, who will be the first woman from UNE to participate in the program. “Homeward Bound is an opportunity for me to really develop my own leadership skills. The leadership program will officially begin early in 2018, with the Antarctic voyage scheduled to take place in December 2018/January 2019.